Wire Trak Raceway Roll in dispenser box. 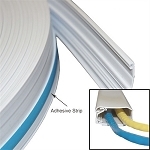 Manufactured from UL94-VO compliant PVC, WireTrak's raceway is available in 50-100ft continuous lengths that can be cut to any desired run which saves time and money because you don't have to worry about lining up raceways, multiple cuts to match the cable run, and less splice joint covers to hide the connecting raceways. 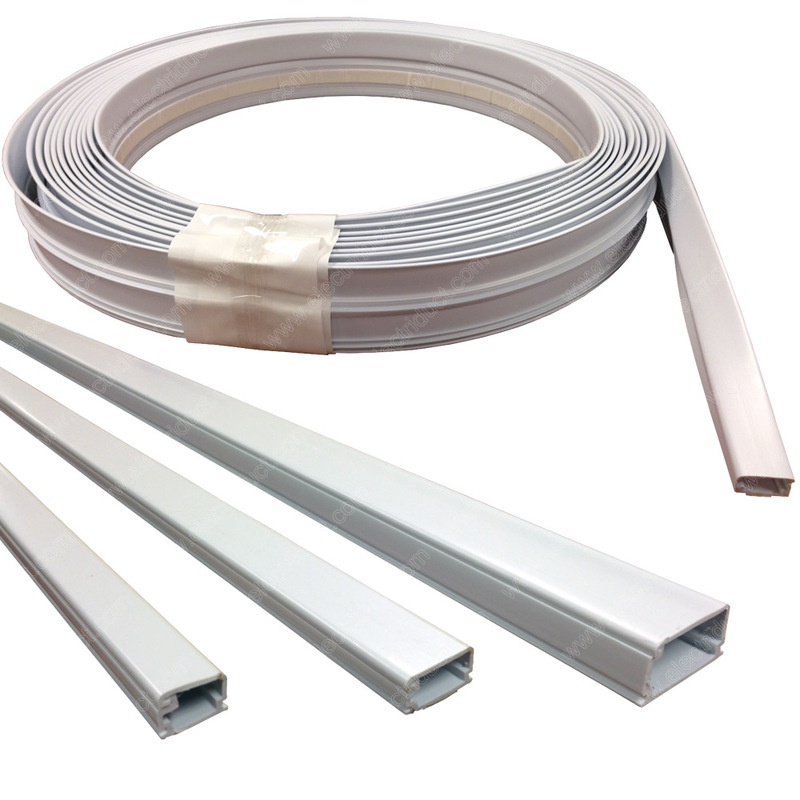 Shipping and transport of raceway sticks can result in damaged items as well as taking up unnecessary space when not in use, the surface raceway roll is perfect for carpenters and do-it-yourselfers who need a great cable raceway without the hassle of carrying around 5 foot or longer sticks. Using a 1-piece design with latch helps with cable maintenance and the unique raceway shaper creates a ready to use surface raceway when pulled through the box. 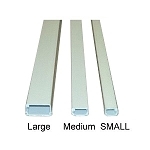 Just as good as individual rigid raceway but so much more convenient and longer lengths possible. Everyone we've shown the product to has been blown away at how clever this product is. 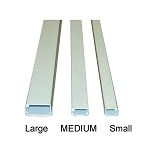 A superior product that covers cords of multiple widths. I like that it comes on a role and I am able to cut to size. The accessories available for the joints, elbows and end caps give it a more professional and polished look. Wire Trak raceway roll is a winner! I'll keep this short. The Raceway Roll was the right way to go. Much cleaner than multiple sticks and absolutely worth the time and money. Needed this for both internal and external cable routing, the raceway fit perfectly. Great quality, didn't tear and has kept its shape. Cutting only required a pair of common scissors. The raceway comes flat in the box, but rolls out in shape through the built in mold. Love the convenience and durability. easy to install, works great! 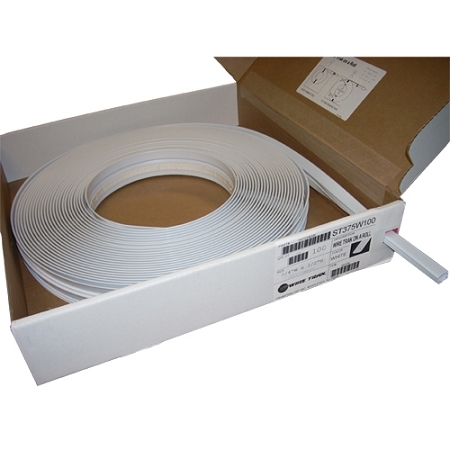 We have purchased many boxes of the Electriduct Wire Trak Raceway for small wiring projects for our school district where surface mounted raceway is needed. The product is pretty easy to work with, it comes in a roll inside of a box that it spools out of. The raceway is bent as it comes out of the box, and snaps into a square shape when you're ready to install it. The self adhesive is pretty good, and we have some that has been installed for more than a few years and is still stuck on well. Really cool way to install this product: SR-FT-WT1125-50 as you can cut to whatever size you need. I recommend this width versus their other products which are smaller as it's much easier to work with. Received the product as promised, actually faster than I expected. This is the only site I could find that had this roll of trak raceway. This product has an adheisive back, it has a self locking feature so once you mount it, put the wire in the track and then fold it in place to lock it, very nice product. This is our second order, and am really impressed. The smaller raceway takes a little muscle to close, but the larger has proven very easy. Far better than cut lengths, I would recommend this product for ease of use and economy. Good product quick ship. Considering this product is packaged in a roll instead of the long strips. The roll makes for easier ship with less complications to places such as this. Wish it was available in a slightly larger size but then we would run into the packaging issue.